The Alpinestars GP Pro R3 Gloves use a combination of exotic materials to keep you in control and protected on the track. Cow, goat and kangaroo leather at different areas of the palm provide abrasion resistance, tactile feedback and durability. Outerseam palm construction keeps the seams from causing discomfort on the inside of the glove when you grip your controls. Its long gauntlet style cuff and hard knuckle are taken directly from racing technology to protect your hands. 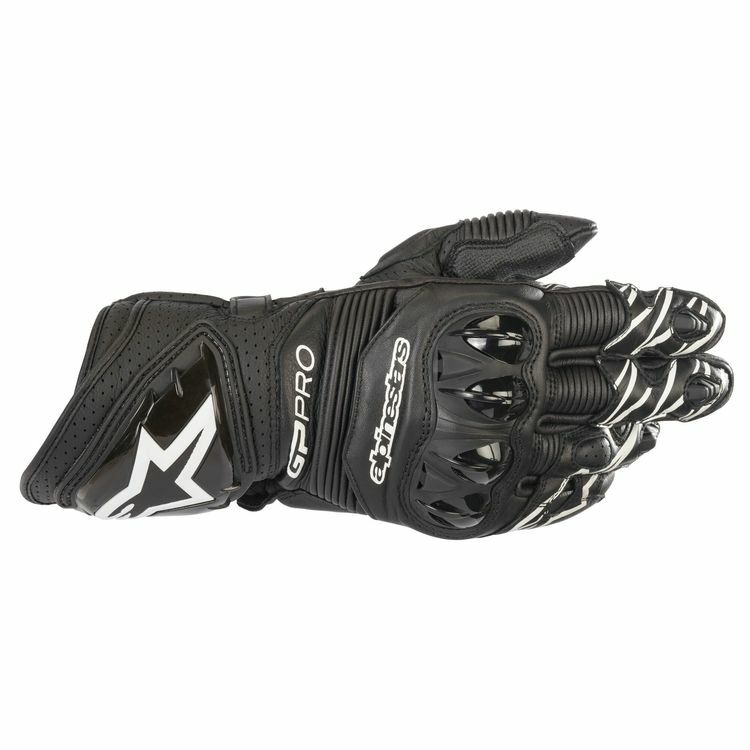 Alpinestars' patented finger bridge helps minimize injury to your pinky area in the event of a lowside. Hard palm slider and hard protection on the gauntlet help keep the glove from catching the pavement while in a slide.